Former Liberal resident Calvin Bigler, M.D., passed away last Friday in Winfield, Kansas. Bigler was a resident of Liberal from 1996-2004, and was the team doctor for several Liberal High School sports including football and soccer. Bigler retired in 2004 and moved to Winfield, where he lived the final six years of his life. Bigler was also a former resident of Garden City for over 20 years. Bigler had a very distinguished medical career with stops in Cooperstown, NY, Shiprock, New Mexico, Morehead, Kentucky, Kansas City, Kansas, Garden City, and Liberal. Bigler earned his M.D., from Yale University School of Medicine. Bigler also joined the United States Coast Guard in 1958. Bigler specialized in surgery over his years as a practicing doctor. Bigler is survived by his wife Phyllis, four sons, a daughter, and their families. Bigler’s funeral service is Friday at 10 a.m. in Winfield at the First United Methodist Church. 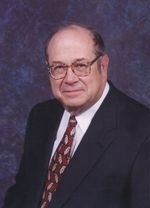 For more information on Bigler, check out kscbnews.net for his full obituary.